Each year, students in our Marine Biology classes are responsible for creating and maintaining an aquatic environment. Each year, the teacher requires students to research the fish they wish to care for and create information cards for anyone who wishes to visit the "Tank Room." This year, I approached the teacher and asked him if he was ready to take the project into the 21st Century. He said yes! Step 1 - Students gathered information about their fish, including food, preferred environment, temperament and place of origin. They recorded this information in Google Drive, and used it to make decisions and build their fish tanks. Step 2 - Students used their own devices (cell phones, iPods etc) to take pictures and video of their tanks which would later be uploaded to the pages. 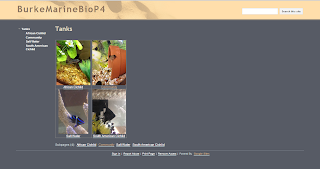 Step 3 - Students created a class page using Google Sites, and then individual pages for each of their tanks and the fish they contain. 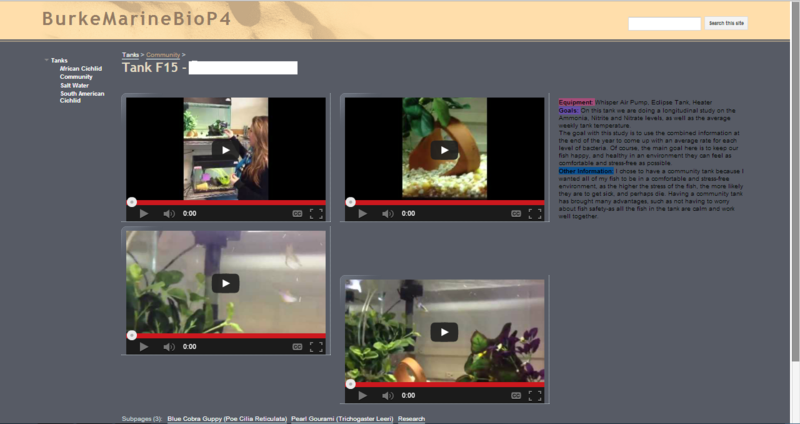 Step 4 - Students began entering information about their tanks and fish on their web pages using a combination of computers, cell phones, underwater cameras and Google Drive. They also had to add an interactive Google Map, showing the origin of the fish. Step 5 - Students conducted a longitudinal study of the temperature, nitrate, nitrite and ammonia levels in their tanks, noting when the environment changes, what happens to the fish (do they thrive? do they get sick? do they die?). Students chart this data using Google Spreadsheets, then created charts, which they embed into their site. 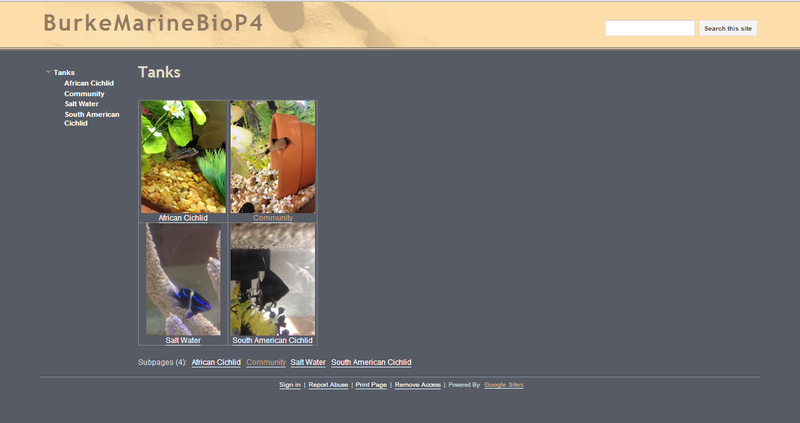 Step 6 - Students continue to update information on their web pages as things in their tank change. Step 7 - Students created QR codes that linked to their tank so that visitors to the tank room could scan the codes and have instant access to the webpages! Here are some screen shots of what the students created, with identifying information removed for privacy.